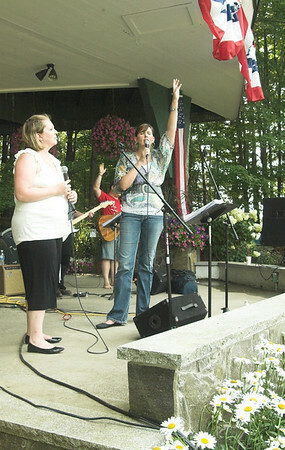 Londonderry’s annual Old Home Day celebration comes to an end each year on Sunday afternoon with the Contemporary Christian Concert. Sponsored by the Londonderry Clergy Association, the concert is an unique and historic tradition in the Old Home Day celebration. The tradition began when a gathering took place on Sunday to celebrate our faith, give thanks to our families and community, and to live our lives to the fullest. The concert is held each year on the Bandstand at the Town Common. It runs from 3 PM until 6 PM and is a great tradition and fantastic way to end the Town’s celebration on a high note. In the event of rain, the concert will be moved to the Londonderry High School Cafeteria. Be sure to browse this map for detailed directions.